Not all of the material you uncover during your research process with be useful for your particular project. It is important to evaluate the credibility of any source before you rely on the information for your own projects. When evaluating print materials, you will first want to determine what type of publication is it - is it a scholarly or popular type of publication? Web pages in particular can be tricky to evaluate since anyone can publish anything they want on the Web. The UC Berkeley Library has a superb tutorial including important questions to ask yourself when evaluating web pages. Second, you should determine the bias of the publication. Figure out for whom the article was intended and determine if it is a balanced treatment. If it is not a balanced source, does it support the angle you wish to pursue? It is also a good idea to check the credibility and reputation of the author and the publisher. Finally, you will want to make sure that your information is relevant to your research, particularly is you are examining an older source. 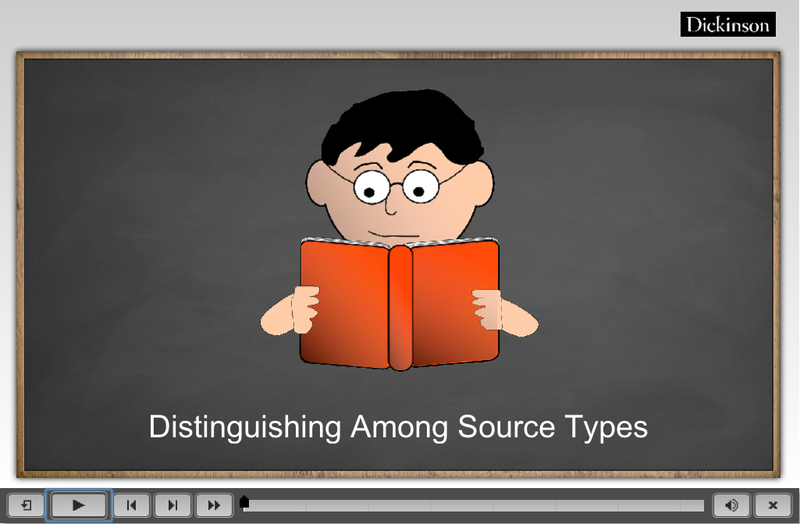 The following are questions you should consider when evaluating sources. Who wrote the page and how can you contact the author? How is this person qualified to write this document? What institution publishes and maintains this website? Is the publisher making a profit off this site and how can you tell? Is there a history of the organization/company, or a mission statement? What are the stated goals of this page and are they met? Why was this page written and for whom? When was the site produced and when was it last updated? Are there any links that are broken or do not work? Based on the answers to these questions, do you think this site is an appropriate source for your project? What are the author’s credentials or authority to write on this topic? Can you identify the thesis of the work? Is it relevant? How and from where did the writer obtain the sources used to support the argument? How does the material support or challenge your own ideas and the other sources you have examined? Based on the answers to these questions, do you think this source is appropriate for your project? What is the author’s connection to the events represented by the source? What is the author’s purpose for creating this piece of evidence? Did the creator of this piece of evidence accomplish what he/she hoped?